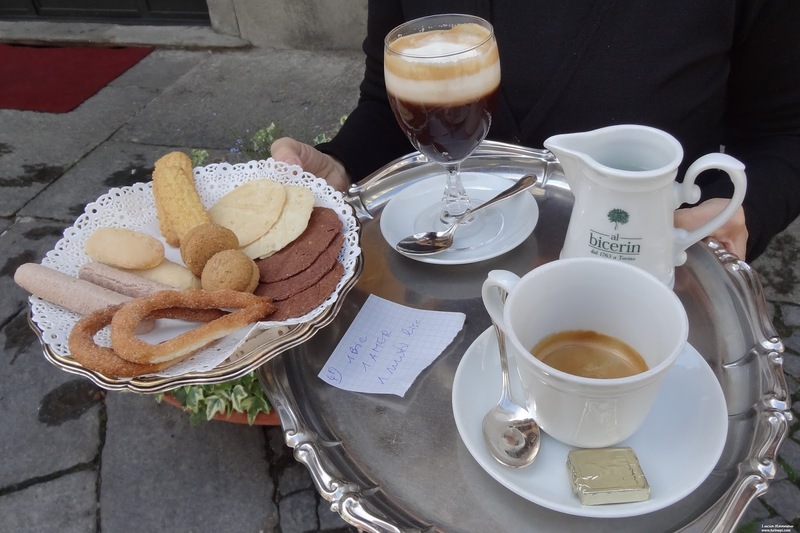 Turin more than any other city in the world is so characterized by its own coffee culture to have its own coffee: bicerin. The word bicerin comes from the local dialect and it means small glass because back in the 18th century it was served in a small glass and at a small price to allow everyone to enjoy it. 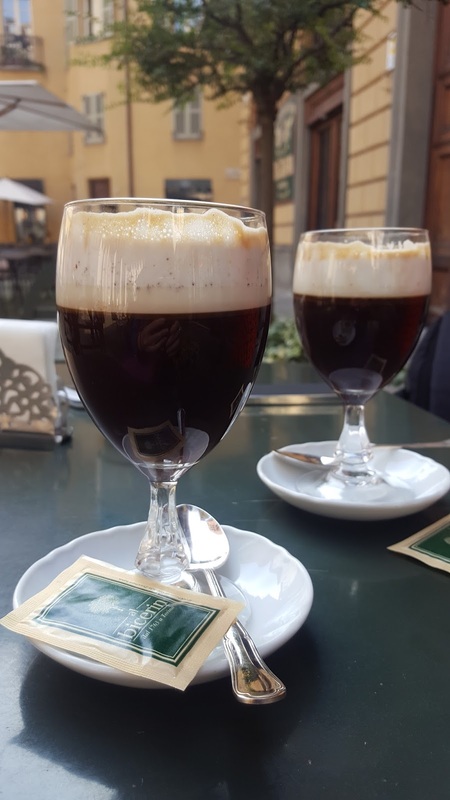 This decadent coffee drink includes chocolate and frothed cream and it's the evolution of "bavareisa", another 18th century popular drink, served in large round glasses and enjoyed mainly by aristocrats and wealthy people. According to the local custom, the bicerin's identity stays in keeping the three layers of coffee, chocolate and cream unstirred so as to fully taste them separately. After all, this is not a cappuccino, a cafe' moka or any other kind of similar coffee you can enjoy anywhere else. Most likely it was invented in a tiny coffee shop that today carries its name: Caffe' Al Bicerin, located in Piazza della Consolata, between Via Garibaldi and the Porta Palazzo market. This is the only place in the world where they still serve it following the original and secret recipe. Anywhere else in Turin, you will still be able to order it but... the ingredients, their amounts and preparation will not be exactly like the one enjoyed by the Count of Cavour, the very first Italian Prime Minister and all the other prominent people of the past like Picasso and E. Hemingway who adored it! 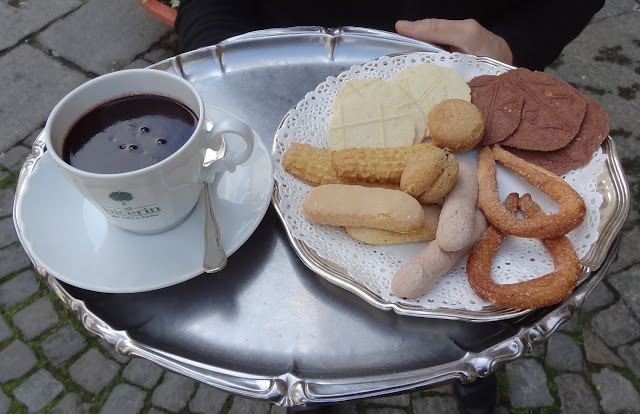 Back in the 18th and 19th century, people enjoyed dunking 14 different kinds of cookies in their bicerin. No wonder why Piedmont has so many regional cookies!! In 2001, bicerin was finally included in the official Piedmont bulletin among the traditional regional products. Please notice that bicerin is a coffee you can enjoy during the day, both in the morning and in the afternoon and not a liqueur. The liqueur doesn't contain coffee but chocolate liqueur. So, when you are in Turin, do it like the Turinese do: have a bicerin on your way to the market or to the Museum of Asian art. Look at the facade of the coffee shop because it is still the original one from the 19th century and then, peek inside. This is one of the many Turin's star gates that will teleport you at the time when the first Italian PM paid a daily visit to Al Bicerin and always sat in the same corner. The counter where you pay is also orginal as well as the candies in the glass jars on the wall are very Turinese. 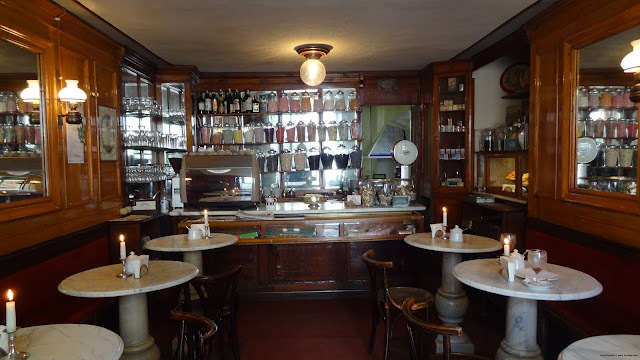 An interesting fact about Al Bicerin is that this coffee shop has always been managed by women since its opening in 1763! Before leaving the coffee shop, after you have enjoyed your bicerin with the cookies, you can also visit the shop and buy some delicious artisan Al Bicerin brand products to bring back home. Be reassured, everyone will love these edible souvenirs!